Over one hundred years, we have been making substantial contribution to the cultural life of Japanese people by handing down the highest standard of art, and seeking new coming art. 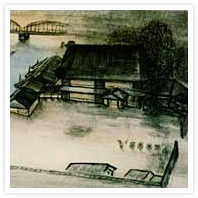 Soon after the Meiji Restoration in 1867, the art dealing gradually began to become active again. In 1892, there was a grand auction held at a Japanese-style restaurant at Akasaka. Because of the inconvenience of renting the spaces for art auctions, we decided to purchase our own building when the Iseheiro Japanese-style restaurant at Ryogoku was for sale, and that was when the Tokyo Art Club Co., Ltd was established. Having been struck by the Great Kanto Earthquake, the Tokyo Art Club moved to its current site in Shiba, Tokyo, in 1924 as a temporally expedient. Its land used to belong to Mr HATTORI Kintaro (The founder of the Seiko), and Mr IKEDA Shigeaki (politician)'s residence was brought there as a company building. 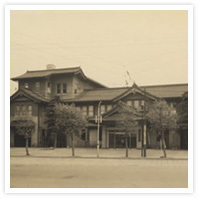 The old building interfered with the expansion of business, which led us to construct a new three-story office building in traditional Japanese style at the same place in 1937. It is well equipped for exhibitions, tea ceremony and various functions of the Tokyo Art Club activities. 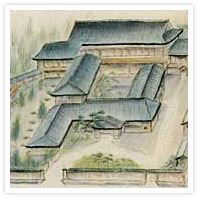 Although the building had been confiscated for the Naval Supervision Office, it was not suffered from the fires of war, and consequently which was able to function as the centre of the Japanese art world after the World War Ⅱ. 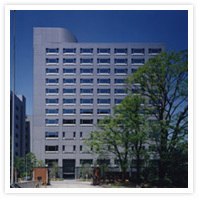 The twelve-story Tokyo Art Club building constructed in 1991 contains exhibition halls, Japanese rooms, tea-ceremony rooms, conference rooms, parking garage, and other facilities. It functions as a venue for the distribution and spread of numerous exquisite art works in a variety of situations on each occasion. 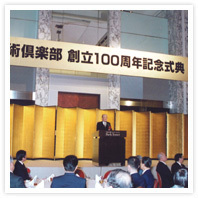 We hosted the Tokyo Art Club 100th Anniversary Exhibition, 'The Grand Heritage – A Tradition of Beauty' in February 2006. In this exhibition, more than 150 pieces of famous masterpieces were displayed including 17 pieces of a national treasure and other fine works that were strictly for private appreciation over the years. Step by step, we have steadily progressed more than a hundred years. We are more open to the public and closer to you.